As we look ahead at an amazing 2010 to come, we'd like to thank our longtime fiscal sponsor, Community Futures Collective and its executive director Marina Drummer for her ongoing support of SNAG. Thanks to CFC and Marina, we have for the past eight years had a wonderful relationship that makes it possible for us to receive tax-deductible donations and have all the tax and reporting work necessary done for us to receive grants and keep our work flourishing. 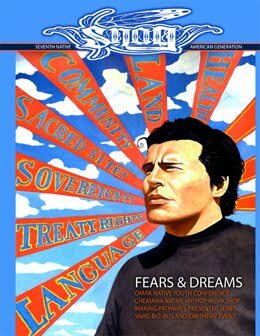 Very importantly, more than 100 Native prisoners each year are gifted SNAG Magazine via CFC and Advocates for Indigenous California Language Survival. We look forward to many years to come with these amazing organizations!